Founded in 2006 by Daniel Barnes, this talented team of rebels have a clear cause—to make the best spirits that purposefully break from convention in order to create something new, or even curious. Comprised of distillers, sommeliers, botanists and architects, the crew draws inspiration from the past, but also the world around them. 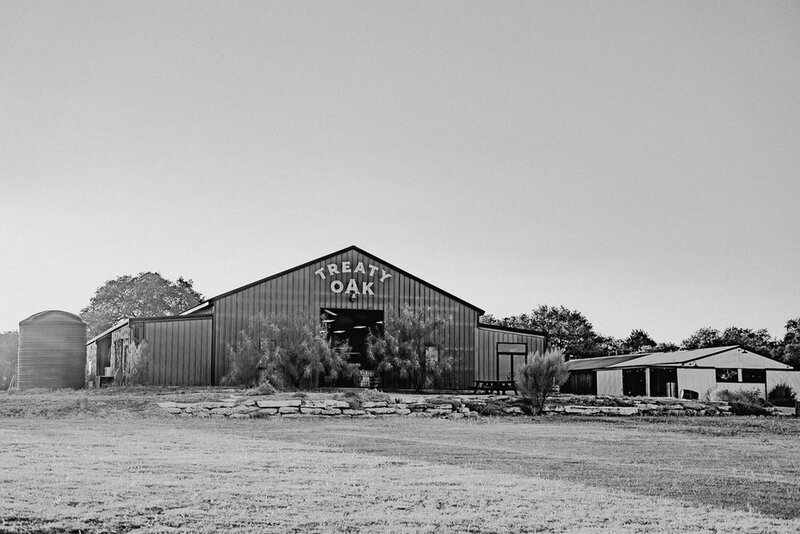 The Treaty Oak portfolio—from the most awarded distillery in Texas—includes three expressions each of whiskey and gin. The team carefully balances tradition vs. experimentation, and when possible, use local resources, including limestone filtered Texas spring water. In partnership with James Brown, (who is on the forefront of the heirloom grain movement), the team sources corn, wheat, and malted barley from Barton Springs Mill, where 90% of grains are grown by Texas farmers using sustainable organic practices. But, they’re also transparent when sourcing from outside partners. Featuring the team’s favorite sourced bourbons they “stole” from across the country, this, expression is an 80/20 blend of 2-year-old Oz Tyler Bourbon, Kentucky (70% corn, 21% rye, 9% barley) and 4-year-old Davis Valley Distillery Bourbon, Virginia (66% corn, 14% rye, 20% barley). Re-barreled for four additional years in new American Oak barrels and bottled at 95-proof, the bourbon reveals a woody, rich pepper aroma, cherry and crisp green apple flavors, and a spicy high rye finish. A Double Gold medal recipient from The Fifty Best, this is a bourbon worth stealing! Sourced from the Schenely Distillery and aged 10 years at 100 proof, Red-Handed Rye is some of the best whiskey on the planet. This rare gem, which showcases a mashbill of 39% corn, 53% rye, 8% barley, provides a woody spice with rich pepper notes, balanced with hints of cherry and crisp green apple. Named after the original 28-acre ranch home in Dripping Springs, TX, this unique whiskey uses grains from Barton Springs Mill Yellow Texas No. 1 corn (53%) and Texas wheat (36%), plus 11% American barley. A genuine grain to glass bourbon, it’s mashed, fermented, distilled, barreled, aged and bottled on-site using local limestone filtered water, and then aged for four years under the hot Texas sun in first use American White Oak Char 3 barrels. At 95-proof, the expression features a subtle peaty aroma with soft oak and sweet corn flavors, and a mild spicy finish. A recipient of the coveted “Gin Masters Award” in London amongst more than 300 entries, this New Western Style gin, (the first to be introduced in the state of Texas), pays homage to the original name for the city of Austin. No. 9 refers to the ninth expression the team selected from among 100 recipes. At 94 proof, the gin exhibits floral notes, hints of lavender, pecans and citrus (sourced locally from the Texas valley) with classic flavors of anise and juniper, for smooth finish. It’s a gin as big as Texas! Cross over to the dark side with this gin made to drink like a whiskey and aged under the hot Texas sun in first use American White Oak Char 3 barrels for approximately two years. Flaunting a sweet floral and vanilla nose, the spirit reveals dark, herbal flavor notes from the local botanicals, and presents hints of nutmeg and leather, before a sweet-spicy cinnamon finish. Distilled to 94 proof and meant to be served neat, it is the longest aged gin on the market. A unique take on an Old Tom Gin, this 90-proof gem features botanicals including yaupon holly (a tea leaf native to southeastern North America), juniper, kaffir lime, and licorice root, which are then back-sweetened with Wildflower Honey. For more information, visit TreatyOakDistilling.com.